At one year old, your daughter is just learning her first words. Since birth, all she has been doing is listening and she’s almost putting what she’s learnt so far to the test. Encourage this using toys that respond to various stimuli such as shaking or squeezing with sound effects that your girl can relate to. 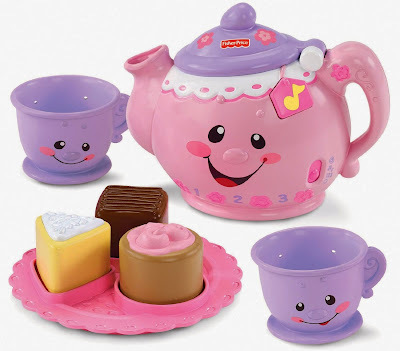 The Fisher-Price Laugh & Learn Say Please Tea Set comes with 2 teacups, a kettle, cookie tray as well as teethable cookies. And do not forget music to go with it. After all, what is a tea party without music? This toy combines music, learning and imagination. She will learn numbers, shapes, greetings and manners. When the girl tips the teapot to pour out the tea, this triggers fun sound effects. The tea bag also sings when pressed. These features make this set an amazing toy for a one year old girl for just under $20. Check out the Fisher-Price Laugh & Learn Say Please Tea Set on Amazon.com to read the product description in full. 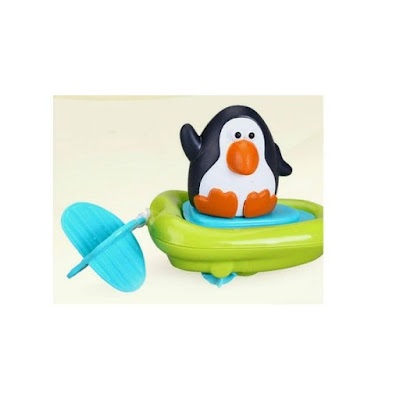 The penguin float boat toy paddles through water using 2 tiny wheels. It does not need any battery. All you have to do is pull the string and watch as the boat zooms away and your child tries to reach for it. The easy-to-pull string is perfect for little hands and encourages motor development. It comes in different colors that are sent randomly. It is a perfect unisex toy for a 1 or 2 year old child. 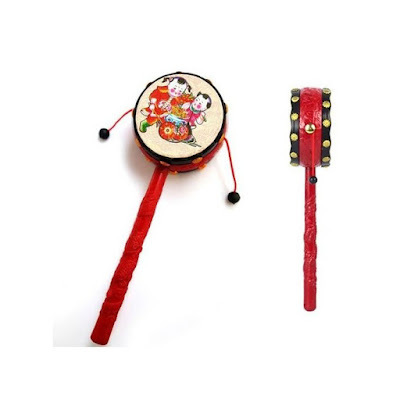 This rattle drum and hand-bell is played by spinning and is a perfect gift for babies 5 months old and above. It is made with non-toxic environment-friendly plastic material that is tasteless and safe for your baby. It also comes with Chinese traditional characteristic paintings to symbolize happiness and luck. The manufacturer’s recommended age for this toy is 5 months and up. Other presents for one year old should work towards fine tuning the motor skills are those that encourage stacking activities. An affordable stack set is the Fisher-Price Brilliant Basics Stack & Roll Cups. 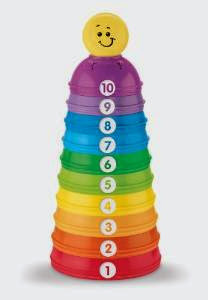 It has 10 cups with different cups each with a different color, size and number. 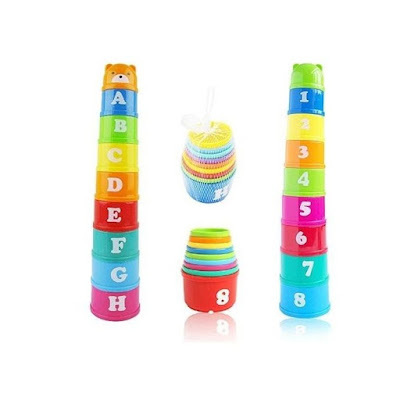 These stack and roll cups enhance not only the problem solving skills but also the creative thinking as the one year old devices and creates new ways to arrange and stack the cups. The top smiley ball even has a shaker and it can fit on top of any of the cups. The cups are textured making it easier for the little fingers to grip and manipulate. Durability is another good quality because in the little one’s hands, they will get quite a beating from stacking to being stepped on to being thrown and more. The only only problem is that as the child gets older, the stack and rolls cup set can get monotonous and a little boring. Stacking cups are great toys for infants one month and above because they help develop the child’s creativity, imagination and hand-eye coordination. These cups come in bright colors and lovely bear cup designs. This particular set comes with 9 pieces with alphabetical letters A-H. They are safe educational toys, they help with sensory stimulation and make great gifts for infants. The age recommended for this cups is one Month plus. 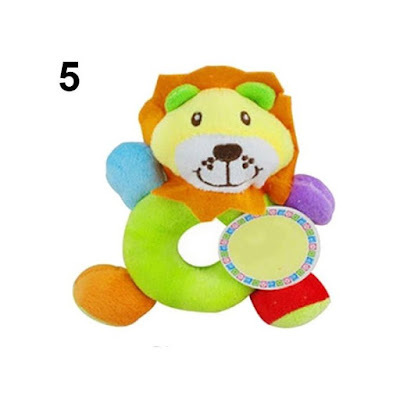 Plush toys are also good presents for one year old 2015 as they encourage emotional awareness in a one year old. Manhattan toy Baby Stella Doll is an example of a soft plush friend perfect for a one year old girl. Stella will be part of the family for years to come. Baby stella doll is durable and the fact that even older children can play with her ensures that you do not go back to the store for another fluffy friend any time in the near future. She comes in a two piece outfit that removes easily. Also included is a cloth diaper and a magnetically attached pacifier. Some parents have however expressed concerns the magnetic pacifier on baby Stella doll could be hazardous for the baby. This can be fixed by putting the pacifier away. This plush toy is soft and cute, fun for the baby to touch and easy on the little hands. It makes a rattling sound when touched encouraging the baby to touch and explore. It is an awesome and colorful gift for children between 0 and 2 years. This colorful cube toy is specially designed for toddlers. It contains several , geometric figures, animal shapes, English letters, and abacus beads which are great for playing games with your little ones and building their cognitive and constructive abilities. 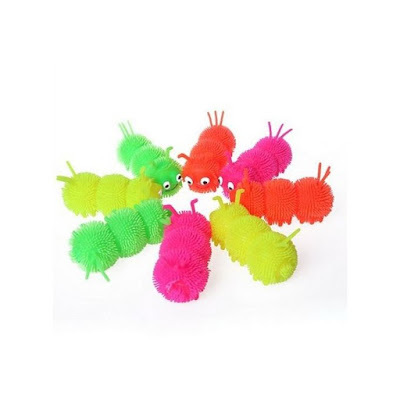 These caterpillars will stimulate the baby’s senses with bright colors, the LED lighting and the texture. They are soft and easy to grab and novelty gifts for your kids. 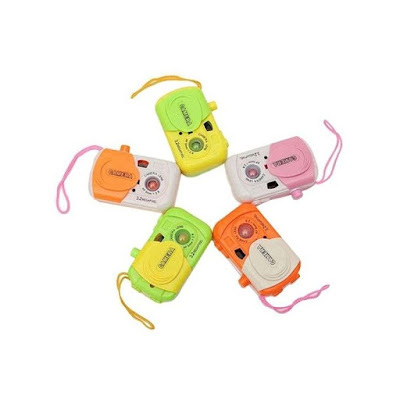 To improve a child’s intelligence and stimulate their imagination, this camera displays a different animal every time it is pressed. The child’s curiosity is satisfied as she learns how to identify animals such as donkeys, dinosaurs, lions, dolphins, fish etc. They are made of high quality plastic and come in randomly chosen colors. This is an educational toy that is designed to stimulate a number of senses. It comes in a cute shape and vibrant colors. It has different functionality and the child can either push it as a car or press on the buttons several times to get different sounds. 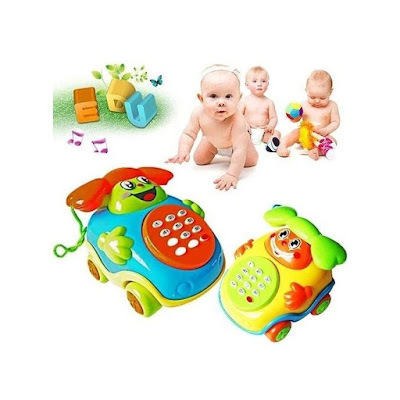 Each of the 12 buttons can switch voice 4 times; press once for ringing phone, twice for children’s sound, thrice for puppy dog sound and the fourth time for music. 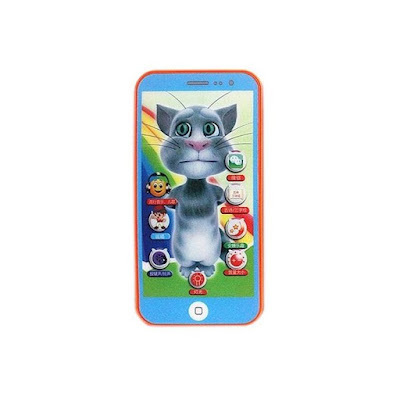 This phone is interesting and is a perfect gift for a kid. 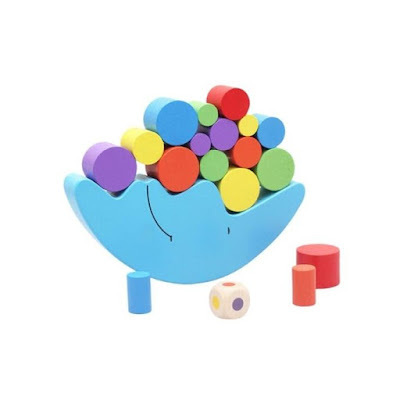 This set of balancing blocks comes with multi-coloured and multi-sized cylinders and a moon shaped base. They are made of high grade-wood and painted with environmentally friendly paint which is safe for you and your child. The toy helps with recognition of different colors and sizes, enhances creativity and curiosity, develops balancing and coordination skills as well as improving communication skills when played with friends. The moon shaped block comes in two colors: yellow and blue. 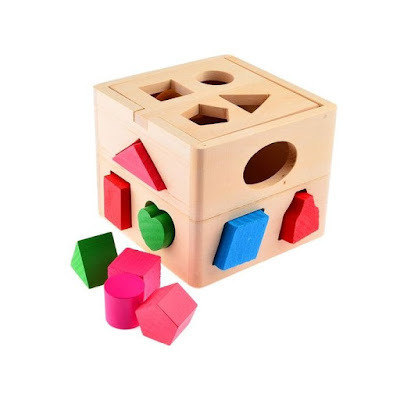 The building blocks are perfect toys or gift for kids 5 months and above. One year old girls love to cuddle soft toys. It is fun to watch your little one playing mum or just cuddled up next to their fluffy friend. The Meyer Shoezzz is a perfect plush toy for a one year old girl. It is made 100% from recycled bottles and is therefore environment friendly, it is soft and cuddly and free from dangerous chemicals and pesticides. The Horse is big, being 10 inches long and long lasting. This will serve your child for over 6 years. The thing I love the best about this toy is that each horse uses up 10 soda bottles which would have polluted the earth. Talk about making lemonade from lemons. 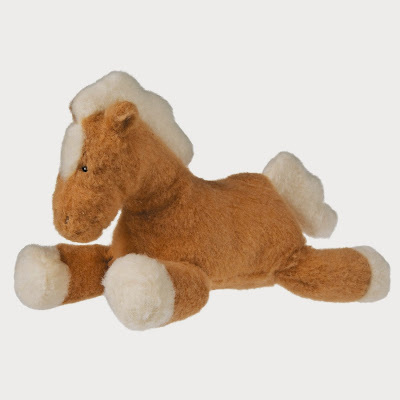 Going for just under $10, the Shoezzz Horse is a perfect holiday or birthday gift toy for a one year old baby girl. You can read the Shoezzz Horse review here or head over to Amazon .com to see the product description as well as read what other mums are saying about it. 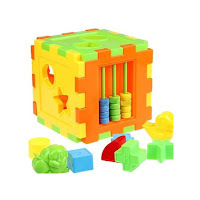 The shape sorter set helps your baby to learn the concept of sorting through playtime fun. It comes with different shapes like circle, star, triangle and colors, as well as a hammer for pounding them into the shape-sorting base. Grabbing the blocks improves gross motor skills while moving and building the blocks helps develop hand-eye coordination. It is a perfect gift for birthdays and other special occasions for kids from infants to 4 years. If you are tired of sharing your phone with your kid, this is the gift to get him/her. It is just a simple to phone that is Interesting and cute. It has lovely tunes to keep your baby occupied for sometime. These bath toys inspire imagination is small children. 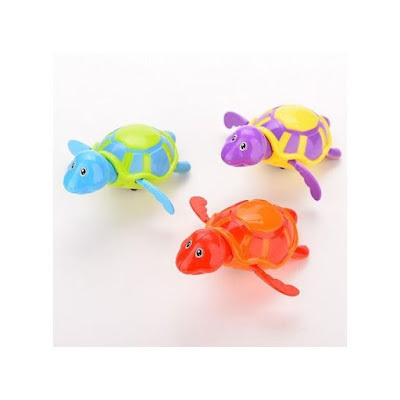 A pull on the turtle cord sends the toy swimming and your child will love reaching for it. They come in random colors and are perfect for kids from 0 to 3 years. From 3 months, babies begin to teeth. This is the hardest time for the baby and the mother. The tender and sore gums make the infant fussy and the temperature and diarrhea associated with the whole teething business is stressful for the mother. This is also a perfect time to start introducing good hygiene habits to the little baby. The bendable banana training toothbrush is not only soothing to the tender gums, it is also a lot safer than traditional toothbrushes. It has a wide banana peel handle that controls how far into the mouth the toothbrush can go. This ensures that your baby will never hurt herself. The handle is also very good in making handling and manipulation of the toothbrush by the tiny hands a lot easier. Every part of the baby banana bendable training toothbrush is textured and therefore provides soothing relief to the sore gums. These qualities and a lot more you can read in the baby banana bendable training toothbrush review makes this product a perfect gift idea $10 for a baby between three and four months. Check out the banana toothbrush on Amazon.com now to read what other customers are saying about it. This pacifier is made of food grade, high quality, soft silicone . It is non-toxic and safe for your baby. It not only helps sooth tender and swollen gums, it also exercises the baby’s hearing and eyesight. It is brightly colored and is perfect when it comes to help the baby learn how to chew and bite. 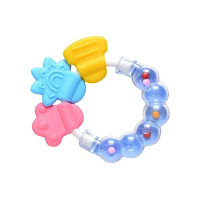 This is also a pacifier that not only provides the baby with something to chew on and sooth their tender gums with, but also play with while breastfeeding. 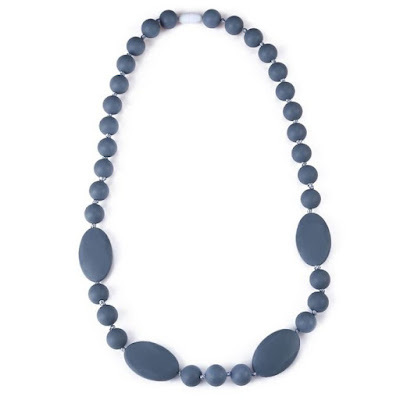 The round beads are made of soft and silica gel ensuring that the teether is delicate and safe on your baby’s gums. The necklace is perfect for kids 1 to 3 years of age. Babies come with unbelievable amounts of messes, accidents and spills. It becomes difficult to keep their soiled cloth diapers or other wet things in the bag without contaminating other items. A wet/dry diaper bag is a practical way of carrying all your things in one bag; the soiled wet items are stored in a zippered separate compartment from everything else. 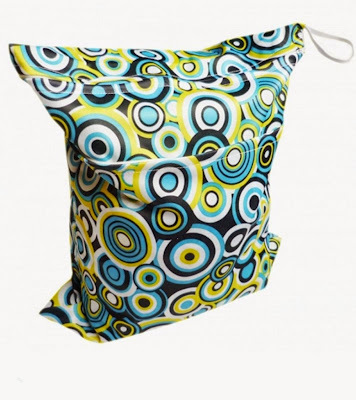 Print Baby Cloth Diaper Waterproof Zippered Wet/Dry Bag is an example than only goes for under $10. Other than the separate wet and dry zippered sections, the outside of the bag is cotton printed with fun colors. The bag is big enough to fit 5 to 7 clothes diapers and is therefore big enough for overnight trips with your baby. This bag makes a great baby shower gift and as well as an infant gift. Read the Zippered wet/dry bag review here or head to Amazon.com to see what other mothers are saying about this incredibly practical diaper bag. This baby stroller is fully adjustable allowing your baby to lie or sit, face you or face ahead. 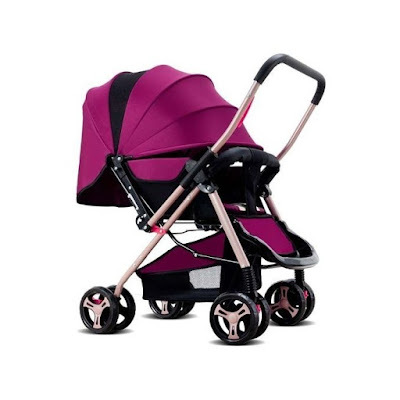 It s made of safe and durable carbon steel tubing for your baby’s safety and is designed to keep the harmful rays of the sun away from your little one. It can bear up to 25 Kgs. This is a perfect gift for a 6 months to 3 years kid. 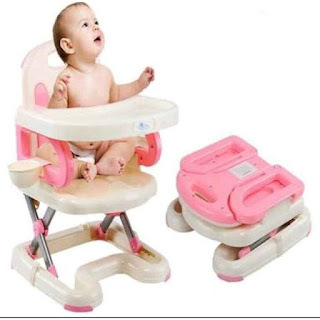 This high chair is designed to make meal and snack times with your child simple and enjoyable. The plastic tray and simple design make clean-ups bliss. You simply wipe the surface clean is a matter of seconds. The chair economizes on space as it folds flat. And with the self-standing fold capability, it can fit in the tiniest of spaces making it easy to store. The five point safety harness ensures safety for your baby at all times. The feeding chair comes in a variety of colors. 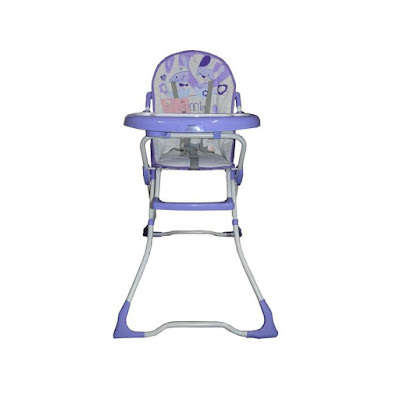 The high chair is perfect for kids from infant to 5 years. Booster seats are perfect for seating your baby on any dining chair together with the rest of the family. This booster to toddler seat is adjustable to accommodate a wide range of table and chair arrangements. It also grows with your child converting from a baby’s booster chair to a toddler chair. The seat pad is removable and machine washable for your convenience and the full size tray is also removable, adjustable and comes with a snap-on snack tray and cup holder. The booster is secure as it comes with safety straps and a 3-point restraint system. It also saves on storage and enhances portability with its compact folding design. It is for kids from infant to 4 years.